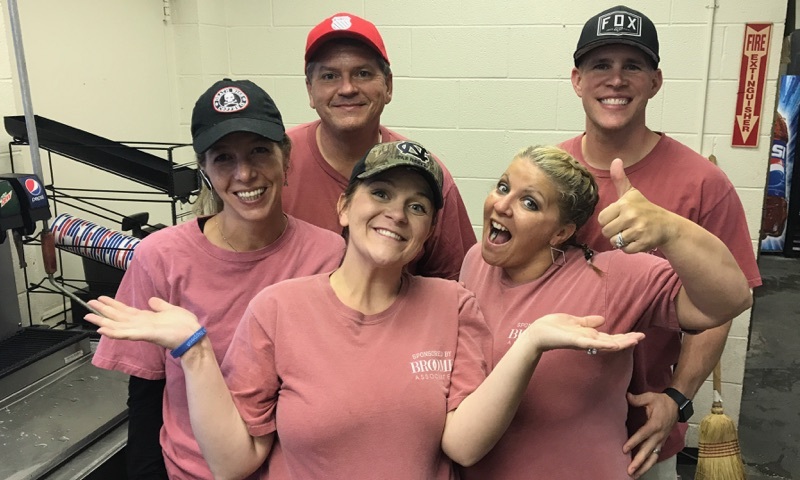 The Special Olympics is close to our heart at Broome Associates, so we are grateful for the opportunity to give back to this valuable organization by stepping up to the plate. For the second year in a row, we are privileged to serve at the Hickory Crawdads concession stands with our partner, Western Catawba County Kiwanis, to raise funds for the Catawba County Special Olympics. Last year, some Special Olympics athletes and their families spoke at our agency and explained how the games are managed and financed. Through this, we realized most of the fundraising events for the Special Olympics in our county goes to the state organization who disperses a small percentage across the state groups rather than directly to our county’s Special Olympics. Our agency and the Good Vibes Committee wanted to find a way to support our Catawba County Special Olympics directly. To accomplish this, we recognized the most impactful opportunity was to partner with Kiwanis, who shares our passion. 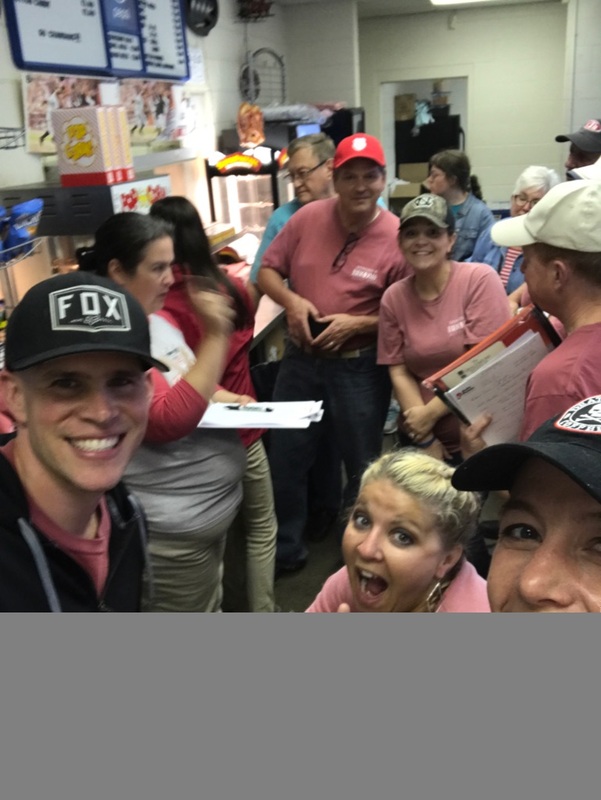 It brought so much joy to us working the Crawdads concessions last year that we decided to continue to help the games this year. Andrew waits to serve at the concessions stand in 2016. Several of the Special Olympics athletes came to our agency in April of this year and shared how the games impacted them. One specific athlete brought in 50 medals he won by participating in the summer games. His excitement and enthusiasm with the testimonies of other parents and athletes captured our hearts to help these games continue. May 12th was our first game of the season. The forecast called for a rainstorm, but we were hopeful the game wouldn’t get rained out. Of course, it rained. Through the downpour, we were able to work until 9:30. 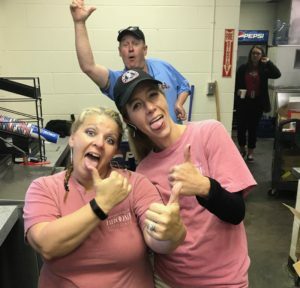 The rain must have worked in our favor because everyone came to see us serving burgers, hotdogs, and chicken sandwiches while the game was put on hold. 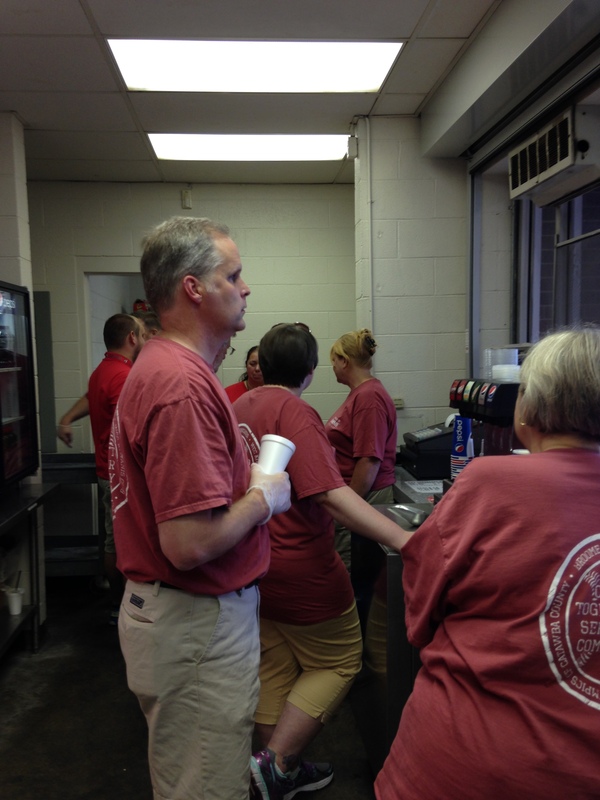 In spite of the weather, the fans gathered together to eat and stay dry while supporting the Special Olympics. It was heartwarming to see everyone come together in support of such a noble cause. We were honored to have one of the Special Olympics athletes with us that night and it was such a blessing to see her serve along with us. Our group had so much fun that time flew by. 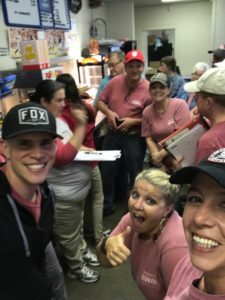 We have several more dates serving at the Crawdads and would love for you to grab a bite at the game (or even serve along with us!) to support this great mission. Please let us know if you would like to join, and come see us at LP Frans Stadium on June 9th, August 4th, and August 5th starting at 7 pm!